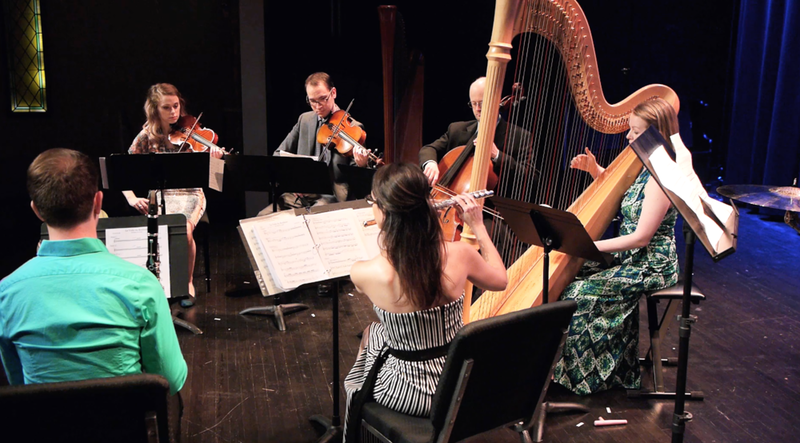 Formed in 2017, Green Room Artists is an ensemble of chamber musicians based in Boulder, Colorado. Green Room Artists is a fluid collection of musicians, composers, scholars, and artists who are committed to presenting both new and old music in fascinating ways. With creating an experience of musical and visual cohesion at the center, the genre-less group is most interested in presenting presenting music they love in smart and creative ways. They were awarded a Boulder Arts Commission Grant, and have performed at venues including eTown Hall in Boulder, Colorado. Members of the group have performed both at national and international venues, have held teaching positions at Universities across the US, and are members of professional orchestras in Colorado and New Mexico, all while maintaining private teaching studios. Sign up with your email address to receive news, updates, recordings, and upcoming events.